Yoga trends come and go. Some may be dismissed as fads (goat yoga, anyone?) but many have stood the test of time. One such example is Yoga Nidra. It has recently seen an uptick in popularity on Long Island. Yoga Nidra can be described as a state of conscious relaxation. It is typically practiced lying down with eyes closed. Pillows, blankets, bolsters and other props are used to support the body. 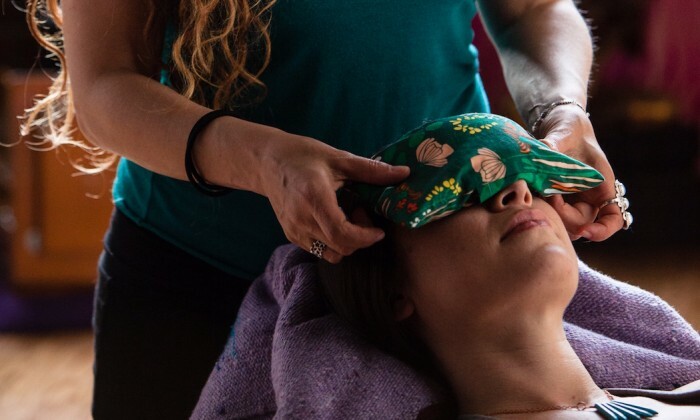 An instructor typically guides students through a practice which leads them into a state of Yoga Nidra, eventually reaching a sort of conscious deep sleep. As the conscious mind sinks deeper and deeper, the unconscious can open up, allowing new levels of thinking to arise. To try the practice, all students should get comfortable workout clothes, a pillow and an open mind. Experience the bliss for yourself (with no goats in sight) at these Yoga Nidra Long Island classes.